Problems of internal and external security in South-East Asia have persisted as one set of competing global alignments has been succeeded by another, with major impact on regional relationships. 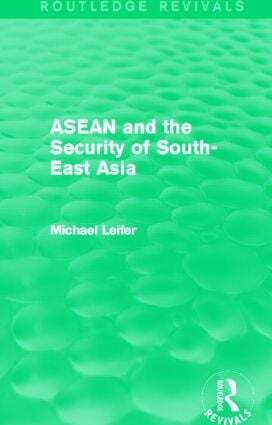 This book, first published in 1989, examines how the states of The Association of South-East Nations (ASEAN) have attempted to confront the problems of regional security. It considers the nature and role of the Association - intended to promote economic growth, social progress and cultural development - traces its institutional development from 1967 and identifies a basic structural weakness arising from the differing strategic perspectives held by member governments. Leifer explores in particular ASEAN’s response to conflicts over Kampuchea, renamed Cambodia in 1990, which was critical in exposing those differing perspectives and the limited role of a diplomatic community in coping with regional security problems. This comprehensive work will be of particular value to students and academics with an interest in South-East Asian diplomacy, history and regional security.